The Singing Americans name has a long, storied history in Southern Gospel music. Birthed in 1972, the group was home to many vocalists who are staples in Gospel Music today. 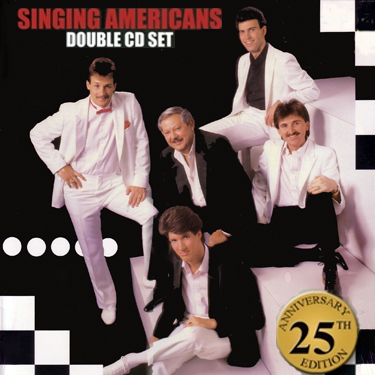 Danny Funderburk, Michael English, Ivan Parker, Clayton Inman, Rick Strickland, Ed Hill, Dwayne Burke, David Sutton, Scott Whitener, and many more graced the stage as a Singing American. Although several combinations of these vocals have given great memories for Southern Gospel fans, the blend of Rick Strickland, Michael English, Ed Hill, and Dwayne Burke produced an excitement that was unmistakable whether on recordings or stage. 2 of the most popular projects in Southern Gospel history, digitally remastered and available for the first time on CD, together in one set! Vocals: Rick Strickland, Michael English, Ed Hill, & Dwayne Burke. This product will not be available for digital download.